Previously, we looked at 2012 top 300 world’s largest pensions fund where Malaysian funds, namely Employees Provident Fund and Kumpulan Wang Persaraan (KWAP) at number 10 and 130 respectively. The different between sovereign and non-sovereign funds are the fund ownership. 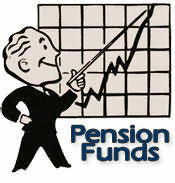 EPF down 1 rank up from 5th spot in 2011 to 6th spot in 2012 with total assets grew from $146 billion to $154 billion. fund banyak, tp interest utk rakyat just 6% ?